You don’t need to tow a huge camper to enjoy the thrill of camping adventures. There are some best lightweight travel trailers that can help you get a kick out of the camping life without sacrificing the fun. Pick one of the best travel trailers under 4000 lbs. It can be your nifty tour-mate during the day and cozy mini-home at night. If you are driving an SUV or a small pickup, it is practical to choose the lightest travel trailer on the market. These vehicles are not suitable for towing a heavy RV. You should choose a trailer that is compatible with the towing capacity of your car. You can choose from the best travel trailer under 5000 lbs, or 4000 lbs, to be on the safe side. 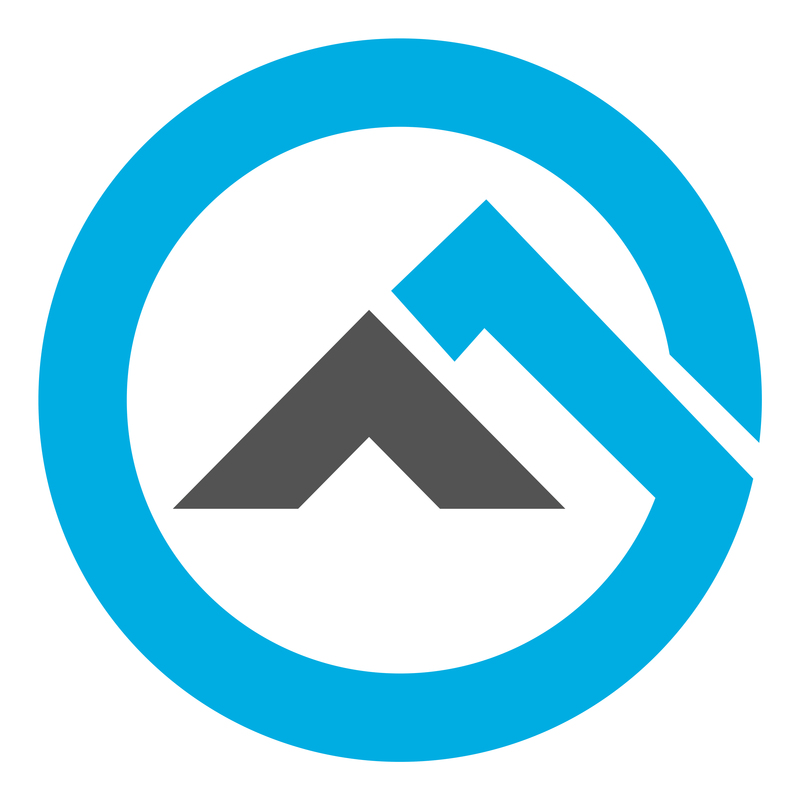 When you are looking for the best lightweight campers to tow comfortably with a crossover or SUV, always check their weight in Gross Vehicle Weight Rating (GVWR). It means that the GVWR won’t cross the 4000 pounds limit even after adding fuel, cargo, and passengers. So, you should look for vehicles that have less than 3000 pounds of dry weight (the weight before loading anything). The R-Pod is quite popular among the travelers for its lightweight build. It comes with 9 different floor outlines and every single one of them is under 4000 pounds GVWR. Four people can easily live in this trailer. So, it is kind of perfect for a vacation for a small family. However, the smaller structure and lighter build do not mean there are fewer features. 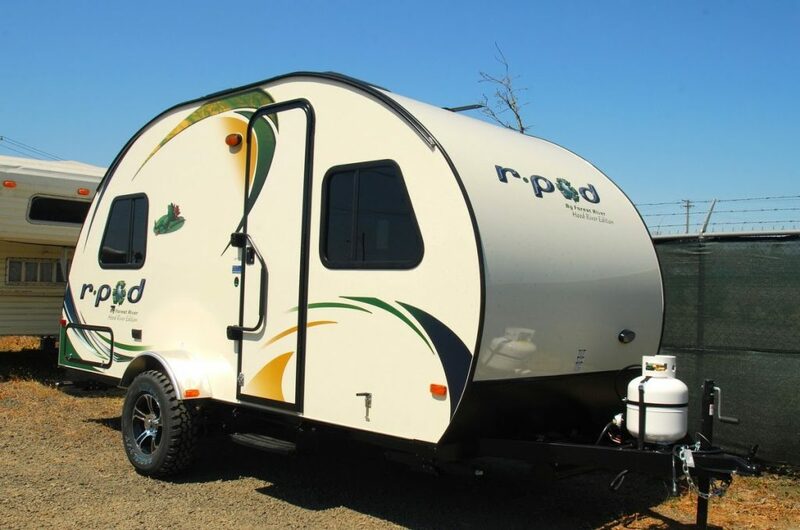 In fact, the R-Pod trailers come with some of the features exclusive in Forest River vehicles. They have electric brakes with automatic adjustments, safety glass windows, smoke detectors, outside speakers, and more. You can even go for an upgraded version with awning, microwave oven, and 13,500 BTU air conditioning system. With all the upgrades, it transforms into one of the best lightweight travel trailers having a premium-quality. The KZ Sportsmen deserves a spot in the ultra lightweight travel trailers reviews because it is extremely fun to drive this light, simple vehicle. While the lightweight build is definitely a plus point, it has many other selling points. With the flexibility of 7 different floorplans, you can have the trailer at between 15 and 21 feet of length. However, the shorter length does not translate into less comfort or useful features. The vehicles have a 20,000 BTU furnace, 8,000 BTU AC, interior speakers, solar panels, and more. You can add more features for some extra money. 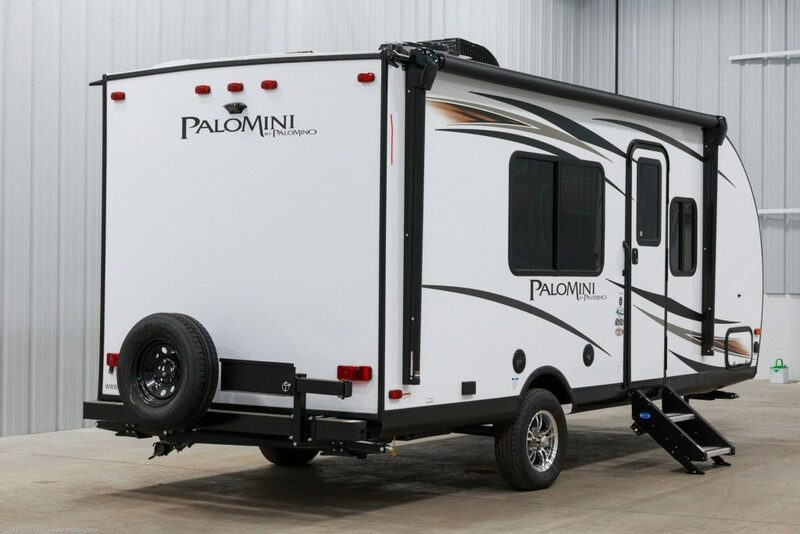 The PaloMini series has 6 different models but the 180FB seems to the perfect choice to be one of the best travel trailers under 4000 lbs. The dry weight of all other models is almost 4000 pounds, which is likely to cross the threshold after loading stuff. The trailer is great for a couple or a small family. There is storage space throughout the trailer and the front cargo deck meets extra packing needs during a long journey. 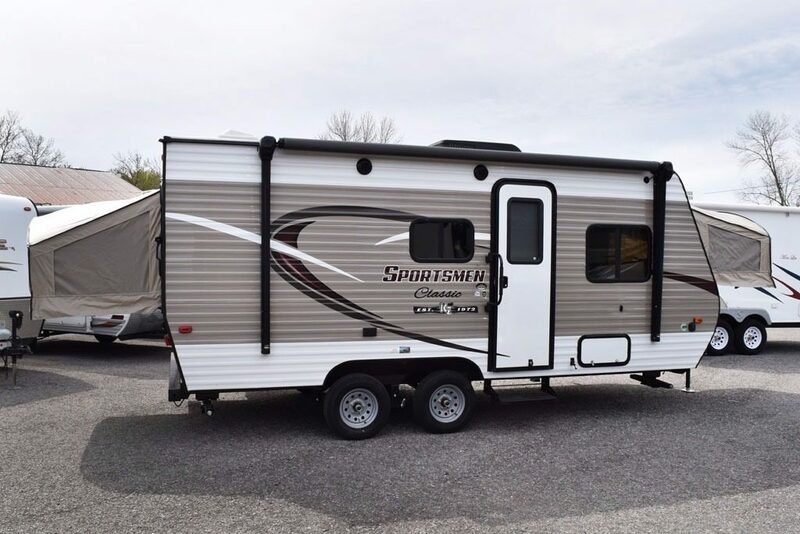 The trailer will give you at-home feeling with memory foam mattress on the bed, microwave oven, hardwood cabinets, separate rear bathroom, and interior LED lights. The walkable roof, tinted safety glass windows, and smoke detectors make your life easier and safer. The combination of extra space and insubstantial build has made it one of the best lightweight travel trailers in the market. The special engineering has kept the weight less than 3000 pounds without compromising with luxury features. The trailer feels much larger than other travel trailers under 4000 pounds. Both the living and bathroom areas have large windows and skylights. It uses Azdel instead of wood on the walls and the use of Lite-Ply makes the cabinets lighter but stronger. The ceiling is also fiberglass, not metal. The applications of all these brilliant features keep the weight down. The bathroom has a bathtub, foot flush toilet, and other amenities. The bed has queen innerspring mattress with throw pillows. There is a three-burner cooktop, a refrigerator, and a rangehood in the kitchen. 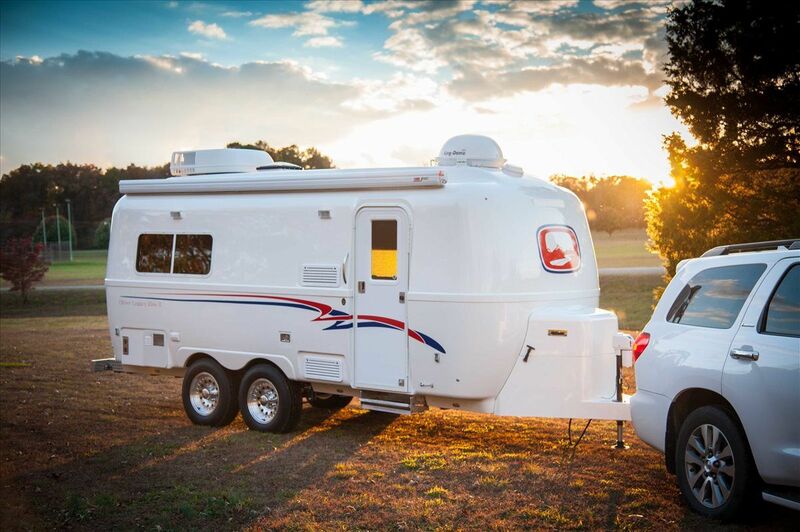 The Sport series have two travel trailers and both of their dry weight is below 4000 pounds. 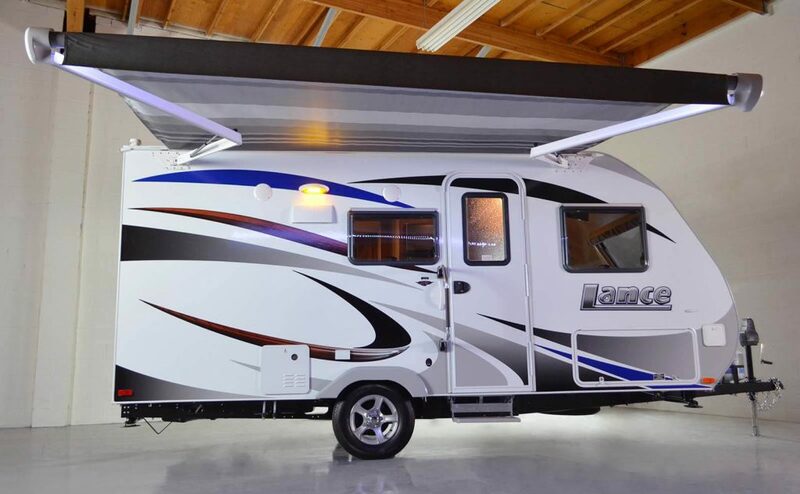 However, the 22RB seems to be the right choice if you are looking for the best travel trailers under 4000 lbs. The boasts a modern interior, perfect for the city dwellers and minimalists. The simple, sleek interior design and the combination of bright colors and earthy tones give the vibe of an urban tiny apartment. There is a separate lounge space for entertainment and relaxing. The galley-style kitchen has everything that you need to make a full-course meal. The dinette in the dining area converts into a bed for two in case you are having guests. 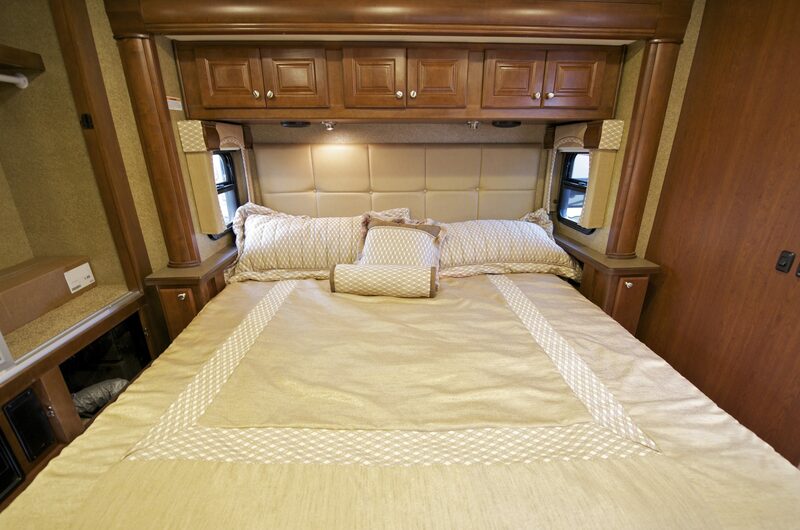 There are air conditioning system and heat strip, keeping you comfortable and cozy throughout the year. The shell is aluminum and the panoramic front windows flood the interior with enough daylight. 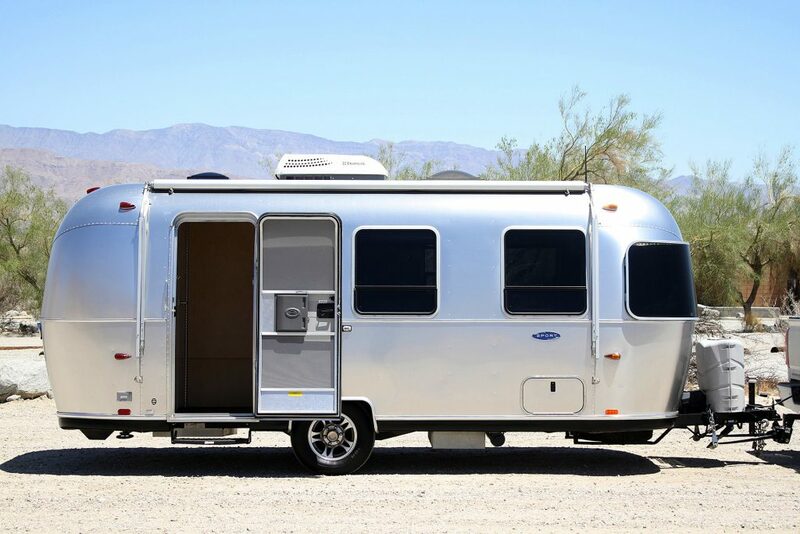 You have the model listed as the 22fb airstream but then you talk about the 16. Thank you for the comment. We’ve updated with the correct information!